I'm a recruitment head by profession. I am practically talking the whole day. Client and team meetings and presentations, interviewing applicants and conducting orientation for new hires are part of my daily routine. I also juggle blogging along side my day job and most of the time during events I talk. I love to talk and yes, I can talk 18 hours non-stop (the rest, of course, I devote to sleeping ahihihi). Frequent talking sure took a toll on my breath sometimes. It dries my mouth and produces a not-so-sweet odor. It's really embarrassing especially when you're engaging in a conversation with a possible client or an applicant. I chanced upon this Swish video (viewed more than 900 thousand times already) and the guy, I must say, was really funny. I guess we all can agree that at one point we had our share of getting nervous and not being able to say what we want. I remember sitting beside a really cute lady at the van. But when she opened her mouth and answered a phone call, I almost choked to death. Yeah, that lethal! There was this one time too when I was at the LRT and a couple were standing near me. They were saying sweet nothings to each other, but there must be something with what they ate earlier. I smell rotten eggs. Argh! Well, love is indeed blind-and for some, it can't smell too. As for me, there are also times when Im at the middle of talking and my breath turns to smell bad. Oh yeah, I wish I could run to the rest room and brush my teeth. 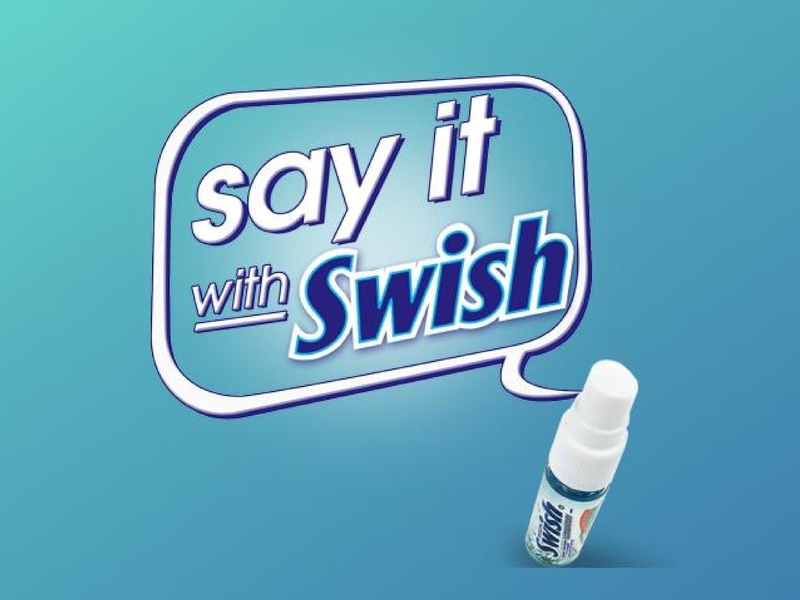 This is not the case most of the time, but isn't it comforting to know that on times like these, Swish Breath Spray can provide the confidence boost we need? So just like the guy in the vid, Super Pump your day with Swish Breath Spray. Currently, Im using the 'Arctic Chill' and it has never failed me. 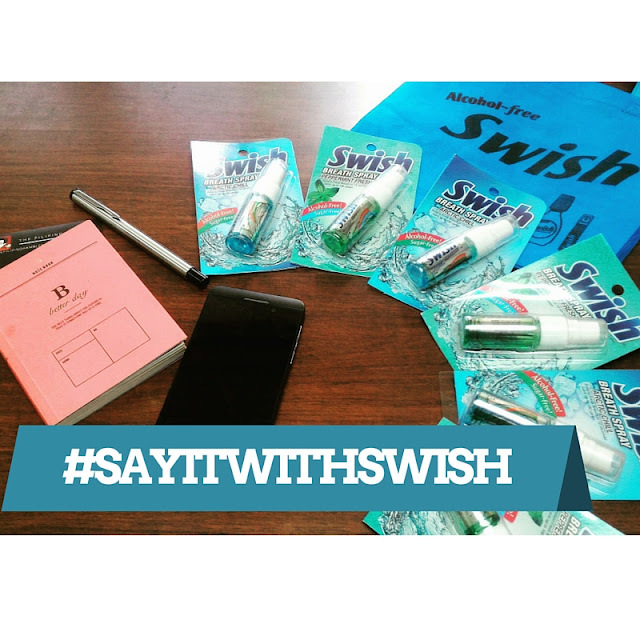 :) Remember, whenever you need the confidence to say what you want to say, #SayItWithSwish.